Thanks for the information. I came across your site in my relentless quest to find a solution for these premature ventricular contractions (PVCs). I'm 49 now and started getting them when I was 46. I've made two emergency room (ER) trips, the first time they told me it was stress and they were benign after looking at my EKG. I was given a 48 hour Holter monitor and the results came back normal with PVCs. No other tests were done. They gave me a prescription of Ativan for stress. I took it only a few times. I also started taking 250 mg of magnesium daily and it seemed to help. After a few months they seemed to disappear. I didn't notice any symptoms for some time. Fast forward to November of last year and I had another episode that seemed even worse. This time I went to a different ER. They ordered the EKG and this time it showed a partial right bundle branch blockage, but nothing else. Then a 72 hour Holter monitor. I met with an electrophysiologist who read me the results and he seemed to laugh it off. He said I was having a few thousand PVCs but they were benign and not to worry about them. MY general physician says the same thing. My blood work is all normal. Blood pressure is fine. Neither wanted to prescribe any medication other than taking the Ativan if I'm having a panic attack over them. Things cleared up again. Fast forward to this past week and they're back again in full force. I think this time they were triggered by a weekend of too much excess drinking. Now I can't shake them again. It's been a little over a week and I know I'm getting thousands a day. There is no chest pain, dizziness, etc. but they're scary. I don't want to do the ER thing again as I'm sure what they'll say, not to mention the cost. I'm probably getting 5 or 6 a minute most of the day. I've certainly learned overdoing the alcohol is a no-no. At the hospital during mitral valve (MV) repair in 2000, securing a ring to support the MV, a stitch pierced my atrioventricular valve (AV) node initially resulting in tachycardia during the day (120) and bradycardia (30 to 35) at night. EPS (electrophysiological study) confirmed but indicated class one AV block would not get worse as cause was physical and not disease. Tachycardia soon abated but bradycardia persisted at night. In 2007 after living with this condition it became a class two AV block with Wenckebach syndrome and a two lead pacemaker was implanted. This increased my nocturnal heart rate till towards the end of 2015 when I noticed a marked increase of premature ventricular contractions (PVCs) and periods of bradycardia day and night, but predominately at night. After single and multi-day monitoring I was told my pace maker was only active in right atrium and the battery was low which switched the unit to a slower mode to conserve power. I was informed that my heart was actually working against itself. A new same 2 lead pacemaker was implanted without any change in my condition. Three of my medications were withdrawn and I saw some improvement in energy, but not for long. Moving along to respiratory problems and returning to hospital for stress test, cardiac catheterization and MUGA scan it was found my ejection fraction decreased from 58 to 24 in less than 12 months. Now I am looking at implantation of a defibrillator pacemaker with a replacement lead to right ventricle and defibrillator lead to left ventricle. Old lead to right ventricle abandoned in place. So you can add another cause to your list PVCs. Wish me luck. I think I am going to need it. I have been fighting a cough for the last month. I have had 4 sinus infections that end up with this horrible cough every time over the last five months, treated each time with antibiotics and steroids. I went to the ENT and found out I am allergic to everything outside. Well, I have had the latest cough for a month, sinus is clear, chest x-ray was fine, pulmonary function test fine. I was sent back to my family practitioner. It seems all of this hard coughing day and night have sent my premature ventricular contractions (PVCs) into overdrive. I would have one occasionally. Now they are all day and eating sends them into a frenzy. I keep reading about thyroid and wonder if that is an underlying cause for everything even though the enormous amount of allergies seems more sensible. I have 3 siblings 1 with hypothyroid and 1 with hyperthyroid. I am under a lot of stress right now also. I hate night time because it seems like once or twice a night my diaphragm just jumps and make me cough. I take prednisone 5 milligrams for my cluster headaches. This is the only medication which works for me. Fifteen minutes after I take this medication, I am pain free. I have never had premature ventricular contractions (PVC) before and they really scared me. I get them here and there but when I have indigestion or heartburn I belch and they start, but when I go walking or moving around very active I don't feel them at all. But if I am sitting around I can feel them. My doctor told me I could have stress and worry. I may have a few worries. I have changed my diet and losing weight at one time I thought maybe it was me changing my eating habits. She did blood test and they came back normal. But I still need to know so they are doing an ultrasound on me next week and I will be wearing a monitor to see what my heart is doing. I am hoping that everything is ok. My doctor states she may put me on beta blockers to try and stop them. But I promise I will get to the bottom of this issue. I had several hours of what I believed were premature ventricular contractions the other evening, with intense hunger. Palpitations went away about 2 hours after eating and now I have been tired, with mediocre energy ever since. I do not feel sick in anyway, just tired with less than normal energy. I am still hungry, getting up and going to bathroom no problem, even went to the beach and pool, no issues. I just feel like I could sleep at any time. This isn't the first time either, just the worst time. I have been suffering from this enlarged prostate since 3 or 4 years. I am taking medicine regularly, but since last few days I have been suffering with all the symptoms, i.e., frequently urinating in the night, starting with pain and ending with pain, and feel as if I want to urinate again. I've been taking ibuprofen lately for lower back pain. I take it rarely. I'm having PVCs (premature ventricular contractions) which leave me breathless and tired. I'm wondering if others have experienced this sensation with Ibuprofen. I've had PVCs in the past but not recently. It's likely I was using Ibuprofen then. My premature ventricular contractions (PVCs) are due to mitral valve prolapse. Premature ventricular contractions (PVCs) occur when I engage in cardio activity such as tennis and riding the elliptical. I have had all major heart tests (echo, nuclear stress and heart catheterization), all of which are normal. I have had chest x-ray and extensive blood work, and all are normal. The result I have been given is that it is nothing to worry about but it is something that I will have to live with. No real known cause but also not harmful because no indication of any heart problem. Very annoying as I enjoy physical exercise which I now have to curtail at least to some degree. I am football player I have diagnosed with premature ventricular contractions (PVCs) 3 years ago. That time I didn't know what was causing them. I had to do Echo and ECG under stress, it turned out my heart is healthy and these are not harmful as long as they are not too many. By this time I started to concentrate on finding what was causing them and in my case they happen when, 1. I have adrenaline rush. 2. Low magnesium and potassium which is something I found after starting to use supplement that has them, which made my PVC low and controlled. 3. Muscle fatigue 4. Lack of sleep. 5. Lack of movement. More importantly they disappear with exercise. I still have them now but I know how to control them and keep them as low as possible. I had two episodes of atrial fibrillation in three weeks, was given Rythmol to convert successfully. Premature ventricular contractions (PVCs) began after second atrial fibrillation when the doctor put me on Rythmol three times daily to prevent atrial fibrillation. It is horrible, depressing, and hard to live your life normally. The doctor will begin dropping Rythmol dose soon, atrial fibrillation may return. It may not be the medication but never had PVCs before Rythmol. 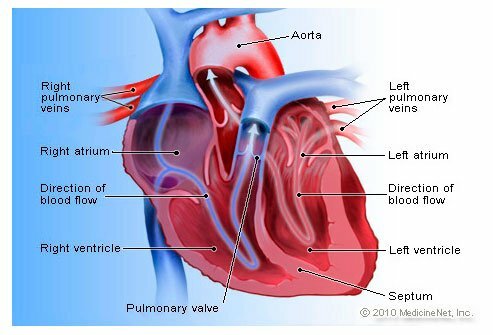 I am a 43 year old male and I have been diagnosed with PVCs (premature ventricular contractions). They are benign but bothersome. Causes seem to be 1) adrenaline rushes (when I'm coaching), 2) caffeine, 3) lawn mowing, 4) biking and 5) standing after eating a full meal. Strangely, they don't bother me when I run or when I'm asleep. Further to my last posting, I have been told there is a small chance I had a clot developing, but no treatment given as I had stopped the medication. After that I had to see the general physician because of a recurrence of chronic bronchitis, and he said my dizziness is due to benign paroxysmal positional vertigo (not labyrinthitis). I am still waiting to see the neurologist in February, only 3 more weeks until I may finally get some answers! I also was diagnosed with primary empty sella syndrome a couple of years ago, and wonder if there is a connection. I went to the doctor after having my thyroid medications changed and dosage was raised. I have had palpitations on and off all my life. But I got scared when they were really noticeable and had them often for days. It has been about 6 months since I had them this noticeable again. The doctor called a cardiologist with my information, age and thyroid disease, and he said as long as I have no pain or dizziness it would be something I would just have to live with. It is so annoying at times. He called them PVCs (premature ventricular contractions). I have no stress, I am retired so now have to figure out what is causing them. My premature ventricular contractions make me feel tired and fatigued all the day. Recently I found the cause. I have high thyroid hormone levels. The doctor would never confirm it, but I say stress caused my PVC's. I was exhausted by them. There were days that I would sleep like I was drugged. Finally, the doctor gave me 50mg of Flecinaide twice daily. In a week I noticed a difference in two weeks a huge difference! Don't give up there is help! I am 57-years old and have never had PVCs before. I have had other issues and have semi-regular EKGs, but none has ever shown a PVC until yesterday. I am under a great deal of stress due to the severe illness of my son the past 9 months, and have also gained a lot of weight in the last 6 months. It seems that I wake up most nights after an hour or so of sleep, and then can't get back to sleep. I finally fall asleep for 2 or 3 hours just before dawn, and some days I get so dizzy around noon that I have to nap for an hour or two. I do consume a lot of caffeine, but if never bothered me before. I have HBP, but it is well controlled by meds. I am a 74 year old male who has had either PVC's or PAC's (no doc has been able to distinguish which) since I was in my late teens. They are everything you all describe. Thinking back to when I was about 18, I remember an old family physician prescribing a very low dose of Valium for my condition and it worked for me. Over the years I have mentioned that to my many Cardio doctors and they just laughed. Bottom line, I've been living with this condition for what seems like forever, but I'm still here. My PVCs started this past October. I am an 80 year old woman, who has had A-Fib since I was 47. Now that I get PVCs I don't seem to have A-Fib. My symptoms are shortness of breath, weakness, a severe ache in my upper back that makes me have to lie down, and a very slight headache in the temple, right side usually. I am able to sleep with the problem and the back ache. I had a 30 day monitor test to confirm what I have. My electro physiologist gave me no further info other than I have PVCs. I lose many hours of several days a week because of this problem. Because I have it so often, it is more debilitating than A-Fib. I have been unable to attend arthritis exercise classes often, have missed dinners, plays, appointments, etc., because I feel so weak. It is a most aggravating condition. I was diagnosed with Mitral Valve Prolapse not quite 1 year ago. It all started with that. I was put on Metaprolol, which slows your heart rate, and lowers your blood pressure. Within the last few months, I had an episode, of tingling feet and hands, and could feel my heartbeat skipping beats. It would have pauses which made me feel short of breath, and felt like a huge lump in my throat. I went to ER, and the Dr. said I was having PVC's. My heart rate was in the 40's just lying there in the ER. I was honestly scared to go to sleep, because I know everything slows down even more when you're sleeping. It really hasn't gotten any better, but only seems to be getting worse. I really am getting concerned and hopefully going to be finding me a cardiologist soon. I am 65 years old and have had PVCs since 1968! When I changed general practitioners in 1970, I was put on digitalis and told the doctor had never seen such a condition in anyone as young as I was. That was scary. When I changed doctors again in 1971, I was told there was nothing to worry about and stopped the medication. I still have PVCs, notice them most often in bed at night, when I'm quiet. PVCs feel like a "thud" in my chest, but I have no negative symptoms. I have fibromyalgia, but I take no prescription drugs for that or the PVCs. I wish I knew what is causing my PVCs. I was on a heart monitor for 2 weeks to see if I go into a-fib and that is all they said I have. I'm a 22 fit athletic male and I have hypertension meds are toprol and cardizem. I am always lightheaded and feel pressure and tingles on my left side. Tested for all through neuro, endo and nephro in addition to cardio. He says my a-fib a benign condition because it doesn't happen often. Before I started these meds, I had the same symptoms. I am a 39-year-old female with PVCs that have really scared me. There is also a high cardiac risk because of my family history. I get PVCs during exercise, rest, and sleep that wake me. I also get headaches and a feeling of wanting to cough sometimes. I have recently started working out more because I am overweight, but it scares me because I feel that my heart is going to stop because the PVCs seem to be aggravated. I wish there was more studies and help out there for this condition. It is really hard to live with it. I have been on a birth control pill called Yazmin for several years -- during which time I was diagnosed with pre-ventricular contractions. When taken off the birth control, I had fewer to no PVC symptoms. This particular drug is known to "leech" potassium from the body -- so my doctors suspected it may have contributed to an electrolyte imbalance and triggered PVCs. I am 52 years old and have had pvcs since I was 24. I am very active and have had all the test known to mankind it is frustrating and has ruled my life. All I can say is no caffeine little to no alcohol and keep exercising. I have been a horse trainer all of my life and the scary thing is when I travel I'm always thinking I might have a heart attack on the road for some reason. If I keep my diet bland it seems to help I know this won't stop any of you from worrying but I am still here after all these years and I am very active take care and good luck. I have had premature ventricular contractions (PVCs) for 20 years or more. My low dosages of Coreg tend to keep the PVCs under control. I like the 115 to 120 over 70 or so. Occasionally, my pressure drops and I get light headed. My electro physiologist cardiologist says you can have occasional lightheadedness or the PVCs. I choose the prior. My palpitations were increasing to the point of more than 1400 per day according to a Holter Monitor. I tried stopping all caffeine, taking iron, taking magnesium, taking Hawthorn Berry, meditation, yoga even a short time on Beta Blockers--nothing made any difference. I stopped eating nuts (almonds, walnuts, etc) and within 8 days all symptoms were gone. Look at your diet for food sensitivities! I am 55 year-old female. I have hypothyroid disease and have for 20 years. I had a incident where the contractions lasted for several hrs. Doctors did an EKG and said it is nothing to worry about and I would just have to live with it. Doctors think I might have a bit of anxiety. My cardiologist believes the PVCs may be caused by mitral valve prolapse and redundancy. I am a 62 year old woman who has premature ventricular contractions and they make me nuts. Previous to 2005 they were infrequent but my hubby had surgery and the stress made them go bananas for about a month...In excess of 2000 a day. They eventually taped off and went back to infrequent till two weeks ago when they really picked up. I don't know why. I had the blood work and an EKG and all is normal but I am so exhausted from not sleeping because of the pounding. I know there are some drugs ot there to help but they are extremely dangerous so I suppose I will have to live with this. But I don't have to like it. With my premature ventricular contractions, I have had episodes that were so severe that I thought I was having a heart attack. The causes are usually being very upset or extremely startled. Sometimes I have them for days without stopping and it is very painful and exhausting. I can't concentrate and I have bad headaches. I began having premature ventricular contractions (PVCs) since last year, after a year of heavy exercise at basic military training. They were very symptomatic and prevented me from working out. I was tested for a lot of things, including stress tests, before they found the problems. The PVCs are now under control using beta blockers (though I have a LOT of chest pain) and I've been able to return to a life close to normal. However, my exercise is limited as they are aggravated by exercise. I was diagnosed with PVC's about 15 years ago. I wasn't sure what was going on. It felt like my heart was going to beat out of my chest. When I was wearing the monitor the doctor had me wear for 24 hours he said they had seen it beat like that about 1600 times. He told me to stay away from caffeine. This was really hard cause I really like chocolate. But that does seem to help the most. Also for me over eating seems to make it flare up. I am a 36 y/o female - started dealing w/ PVC's mildly during 2nd pregnancy. After 3rd pregnancy, it almost went full throttle. Last Holter monitor showed 6700 pvc's in a 24 hour period. I also have mild mitral valve prolapse. Cardiologist doesn't seem too concerned. I am too scared to get heart ablation done. I am on Verapamil 80 mg prn but may start going daily due to mild high bp. Anxiety is always high. I hate the feeling of pvc's - Hate! My caffeine and chocolate intake reduced substantially. Almost no alcohol. Husband can't really appreciate the toll it takes on me. Just want to feel normal again. I was born with hyper obstructive cardiomyopathy and started having PVC's in my teenage years I would say when I was 15. As I grew older I started having them more often until I was 30 when I almost died and got a pacemaker. I am 34 taking 50mg toprol. My condition has worsened with time. Recently I have been having more PVCs and last week I had high P waves that made the pacemaker malfunction caused it to read them as R waves. So I passed out a lot until the pacemaker was adjusted. I'm 28 years old and have had PVC's since I was about 14 years old. Some days they are horrible and some days I only get 1 or 2. Several times I have had them go nonstop for 3 days straight. I've been to the doctor several times and in the ER once because they were every single heart beat for a full 24 hours. The ER doctors were not concerned at all even though I thought I was dying. I have since seen a cardiologist and he prescribed me metoprol sufficiate. I haven't had a single one since then and that was about a year ago. It's a wonderful feeling not having PVC's anymore. I have had these since age 18 (now 50). Worse during pregnancy, so tested after and told I have lots of them, enough that they would consider treating me with heart rate regulators, but that these had risks. I said no and still here. Causes for me are: I must avoid all stimulants, no caffeine etc. I have problems during stress, when I exercise too hard, when my heart rate jumps suddenly, around any cigarette smoke. I am in the midst of menopause now, so lots of problems again; hormones have always had a large impact as well. Often I have no idea what is causing it too. Senior male: Mine was caused by beta blocker, metoprolol taken for 1 year. A trial of a mild vasiodialator would clear the premature ventricular contractionss. Another factor was 2 mg of an antihistamine at night. By eliminating both, I am PVC clear. I monitor my pulse with an electronic wrist unit, which will show a sign for PVCs. I am now 68 years old and have pvcs for over 20 years. I have my good days and bad days; it's something you have to get used to. I am heart and blood pressure healthy. No coffee, no candy, no tea and no salt (except beer). I know you can get used to it just keep getting your regular check up with the cardiologists. I've been to the best and they helped me cope. By the way I dont take anything except coq10. Good luck to all. It seems that when I drink more than 2 coke colas a day, my pvc starts to act up. The more coke cola I drink the worse it gets. After a particularly stressful event at work, I began feeling occasional palpitations in my chest. When they were still present even the next day, I hooked myself up to a heart monitor and saw a couple of PVC's (I'm an RN). I'm 28 years old and am fit and healthy. Now I'm trying to decide if I even bother telling my physician about since it sounds like there isn't much he can do. The occasional palpitations are still an unsettling feeling. I had PVC's for some time and they were very bothersome and disruptive. I had heard about the benefits of fish oil on the heart so I started taking two capsules daily. Almost immediately my PVC's stopped and I have not had any problems with PVC's since.